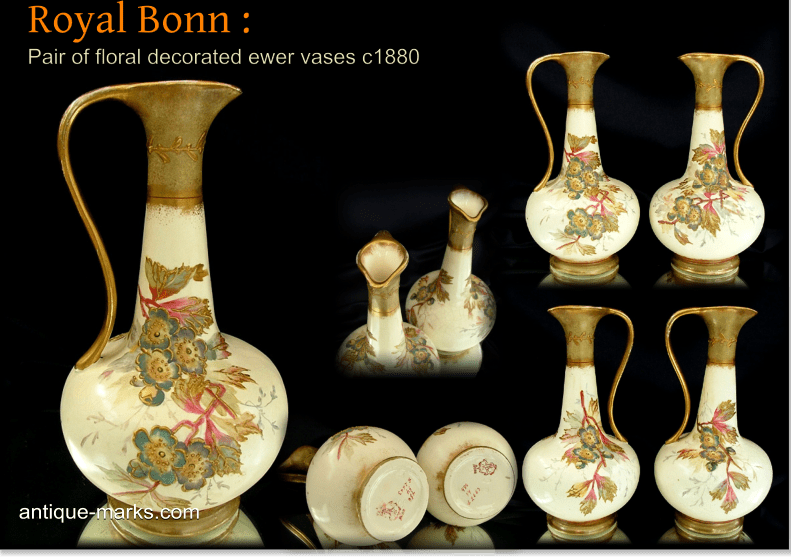 A beautiful matched pair of Antique Royal Bonn Vases in the form of Ewers. Both of bulbous form with extending necks rising to slightly flared rims with pinch formed spouts and attached ornately scrolled handles. All on a creamy ivory ground and standing on single raised bases. Both with matching decoration comprising handpainted floral motifs with raised gilding and sponged gilt highlights to the rim, handle and base. Both with requisite Royal Bonn printed and impressed marks. Each vase with Royal Bonn printed logo together with decorators/workmans marks ‘486’ – ’54’ – ‘2663’ and impressed marks ‘360’ & ‘Y’. 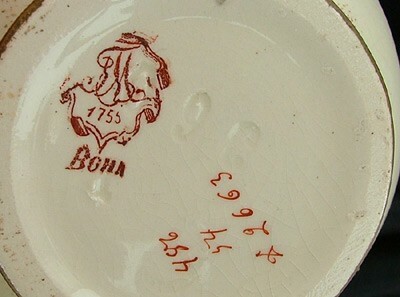 Royal Bonn was the trade name used by Franz Anton Mehlem, who produced European porcelain in Bonn, Germany, between 1836 and 1931. 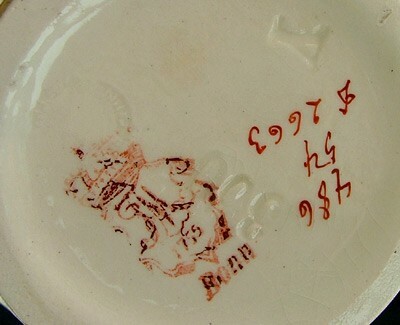 Both ‘Royal’ and ‘1755’ were added to the Mehlem pottery mark in the year 1890. They were used continually until the company was sold to Villeroy & Boch. On June 1st 1920, the potter was bought by Villeroy & Boch and then subsequently closed by them in 1931.